I love what I do and sometimes it's hard to let the bikes go that absorbed all this time in the making. They feel like kids leaving the house to make it out there. This latest build was no exception. Inspired by the great French builders this is my type of machine. I would have loved to keep it. 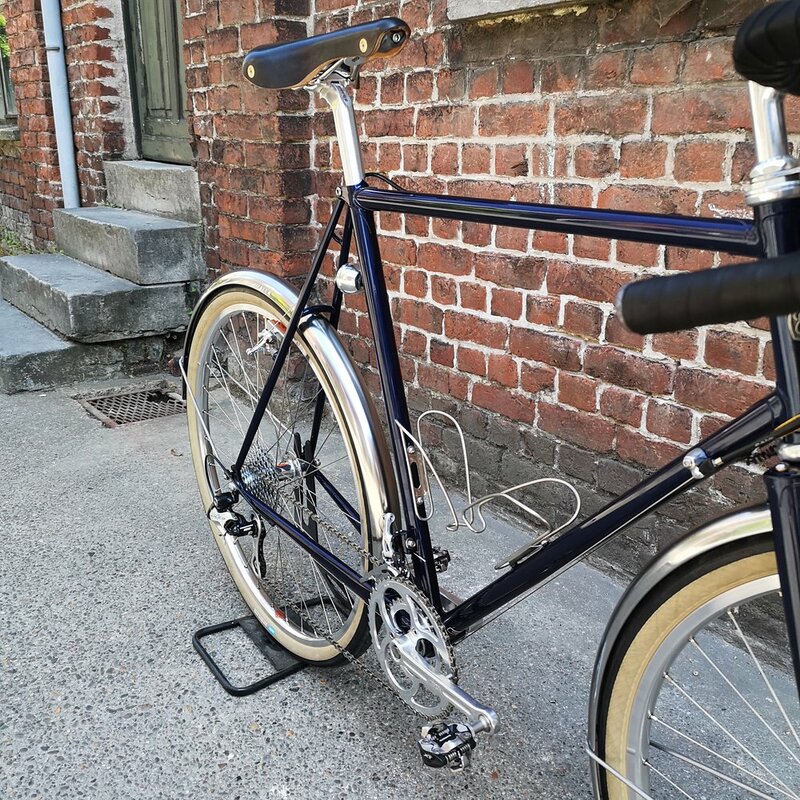 The frame is made from Columbus SL tubes, assembled with delicate lugs. 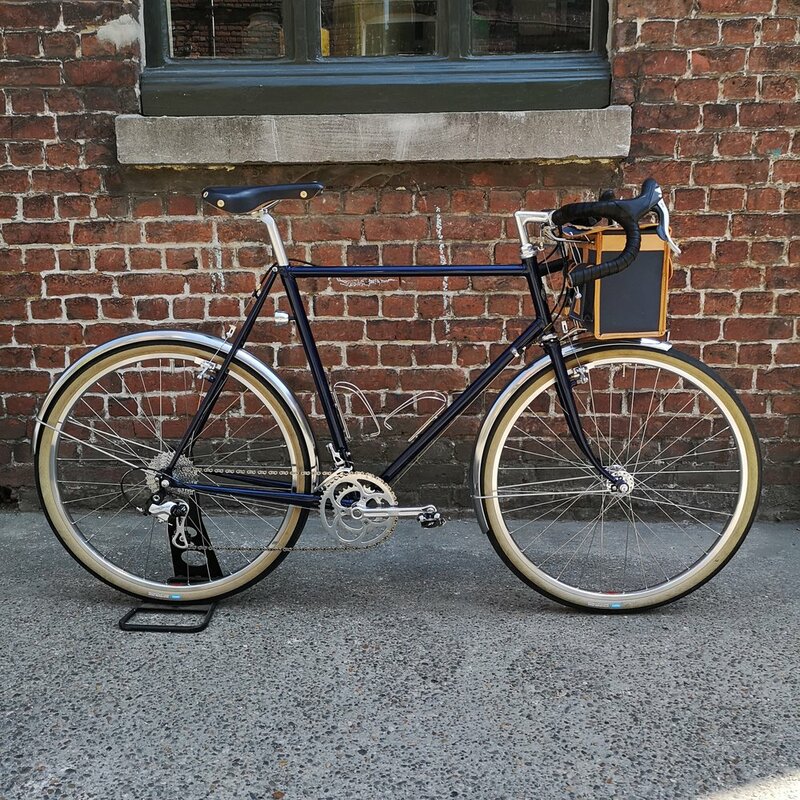 Compass Cycles provided the René Herse 11s crank set and brakes, the tires and the taillight. 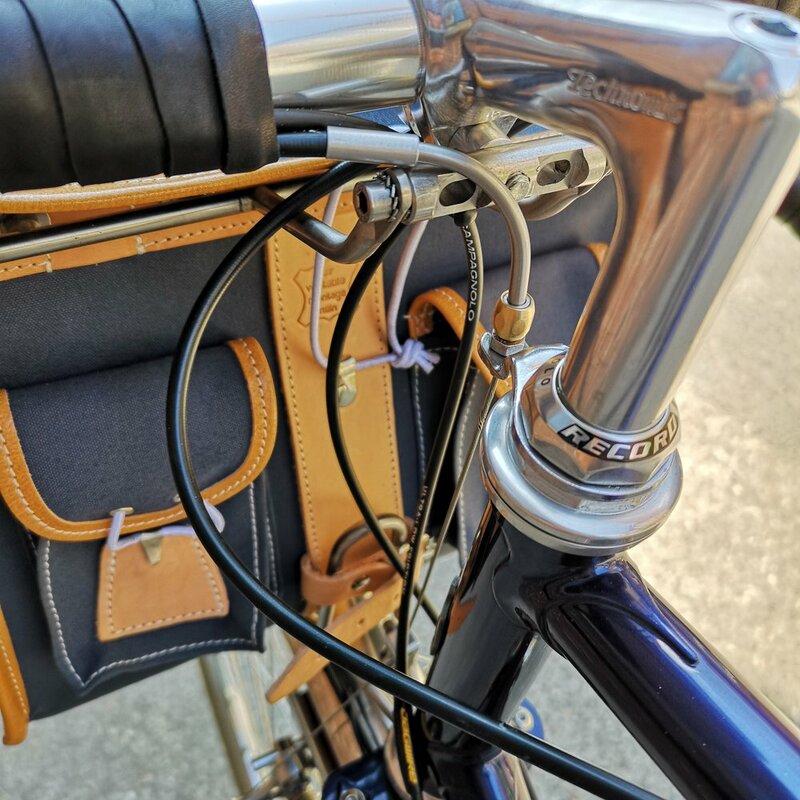 Saddle, fenders, bar tape and the custom front bag are made in France at Gilles Berthoud. Transmission runs on Campagnolo Potenza 2x11 group. 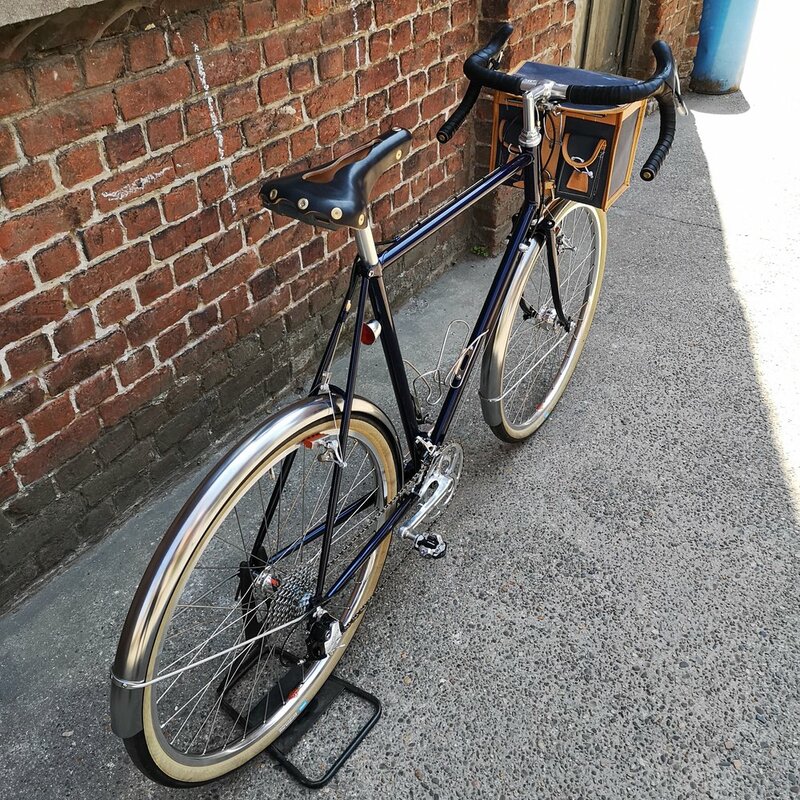 Hand-built 650b wheels with the SON SL dynamo hub (no plugs, contact is in the Dropout) and my favorite Pacenti Brevet Rims. Hoping to see it ride next year's PBP!